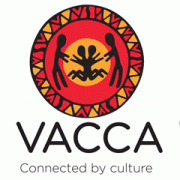 The Victorian Aboriginal Child Care Agency (VACCA) is Victoria's largest Aboriginal child and family services organisation. Since 1977, we have been advocating for the rights and interest of Aboriginal Children, young people, families and other community members. Application deadline is Sunday 05 May, 2019. Please quote in application: Child Specialist Advisor-Lakidjeka Program via Pro Bono Australia.